We have done business with Guy for a little over two years. During those two years, Guy has gone above and beyond the normal expectations of an insurance broker. Guy genuinely cares about his clients and it shows in the way he conducts his business. Not only did he bring us the most competitive insurance rates, but he was involved in every step of the process. We had recently relocated our manufacturing plan to…South Carolina and needed to obtain insurance for our employees here, so we were speaking with three different insurance brokers, but Guy’s willingness to go the extra mile was the deciding factor for us…he made himself available to meet and speak with all of our employees and answered all of the questions and concerns that they had. Guy maintains constant contact and makes regular and frequent visits, even after he secured our company’s business. I have found that is not always the case with some insurance brokers…On a personal level, Guy has been fantastic…I assure you, your company can only benefit from a business relationship with Guy and Furay Insurance, as has our company. 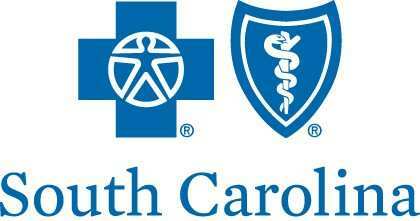 I wanted to extend another thank you to you for working to get health coverage for (our) employees at the SC and NC offices. The last couple of months have been a nightmare in shopping around for out of state health coverage, however it was refreshing to work with you in your assertive and customer savvy approach in dealing with the insurance companies. I do appreciate all your help to ensure the final outcome that both of our offices have suitable health coverage to meet their needs. I look forward to our continued relationship to ensure our employees get the best service. Thank you again. We cannot thank you enough for your professionalism, courtesy, and effectiveness at not only quoting us competitive insurance rates, which most insurance companies can do, but doing so with speed, accuracy, and with a keen ability to understand our needs and direct us toward insurance products that fit us perfectly. I can honestly say that your treatment of me and my employees before, during, and after our purchasing our medical insurance through your office was consistent and exemplary. I felt like an important customer despite our being a smaller size business and your personal touch of visiting our site and going through all the options made it clear to us that we were valuable to you and your company. I will not hesitate to recommend you to colleagues in the future. If we can ever be of assistance to you please let us know. Again, many thanks and we wish you all the best and continued success in your work serving the greater Greenville community with medical and other insurance products. I have had the privilege to work with Guy Furay…He has been our agent and immediate contact for all healthcare needs. Guy…is extremely competent and has an excellent rapport with others. His communication skills, both written and verbal, are excellent. In summary, I highly recommend Guy as an agent for any company…he will be a valuable asset for any organization.